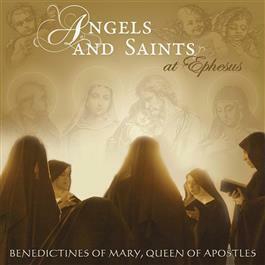 Following their acclaimed best-selling debut recording, Advent at Ephesus, the Benedictines of Mary present this beautiful new album featuring 17 English and Latin pieces sung for the feasts of the holy Saints and Angels. In the pure fusion of their bell-like choir sound, the Sisters radiate peace with hymns of praise of God in the company of his Angels and Saints. Includes O God of Loveliness!, Let All Mortal Flesh Keep Silence, Duo Seraphim, Virgin Wholly Marvellous, Ave Regina Caelorum and 12 more gems.